Bellevue's role as a growing center for the sport of squash was enhanced last weekend as the quest of the best players in the world for a share of the most lucrative 16-man squash tournament purse ever had the attention of the squash-world, but with unfortunately little local attention or support. Frenchman Gregory Gaultier, currently World Number 1 in the sport, won the title and accompanying $25,000, defeating Egyptian Ali Farag in a tournament that added to the image of Shabana Khan as one of the sport's emerging star promoters. Her YSK Events put on the tournament. With $150,000 in prize money on the table, the PMI Bellevue Squash Classic was appropriately staged as a sort of coming-out party for the Boys & Girls Club Hidden Valley Field House just north of Downtown Bellevue. When she put on the Men's World Squash Championship in late 2015, first time ever for the event on U.S. soil, Shabana charted new territory for prize money, which totaled $325,000 for the event that was held at Bellevue's Meydenbauer Center. That amount became the threshold going forward with the U.S. Open in Philadelphia next fall boasting a $350,000 purse. I was struck by the fact that when you watch the speed, agility and athleticism of the top squash ccompetitor and reflect on the comparative talents needed for other racket sports, it's hard not to ask "why is tennis played everywhere and squash isn't?" I posed that question to Shabana's older brother, Azam, four times a member of the U.S. Open team, and he said: "Tennis courts are everywhere and available to all while squash courts are in clubs and available only to the elite, but we intend to change that and it's one of Shabana's goals." In fact, statistics on the sport indicate it is growing faster in this country than anywhere in the world, with the U.K. and Egypt following close behind. For those on hand for the 2015 Men's World Championships, there was a bit of déjà vu since Gaultier defeated an Egyptian in that year's final to win his first World title after losing the in the final match three previous years. Only a few in the inner circle of those helping Shabana with the event were aware that had it not been for the assist from Robert Greczanik, whom Asam Khan describes as "specializing in restoring injured athletes to full enhanced function," to help overcome an ankle injury that Gaultier feared would keep him out of the finals. As an aside, Gaultier had turned to Greczanik, who runs Energetic Sports Lab in Bellevue, prior to the 2015 finals to address the fact he simply felt "all beat up with numerous injuries." Squash players from around the world who were on hand for both events praised the Boys & Girls Club as far more appealing for players and fans, particularly for the interaction between them, than Meydenbauer, which incidentally had rejected her effort to hold this year's event there, telling her to look elsewhere. 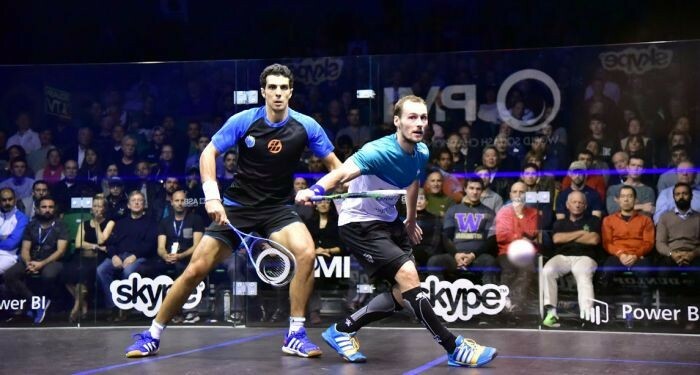 And the community supporters of the Hidden Valley club must have been pleased to see its visibility on the global squash stage with thousands subscribing to the television coverage. Players from 17 nations were on hand, but Shabana made it 18, using what's called a "wild card" for promoters of squash events, to let a young player from Connecticut compete to make sure the U.S. was represented. Leading the as-yet small group of believers in what Shabana's squash initiatives are intended to mean for the Bellevue community's image and the opportunity she seeks to bring to the city's and region's young people was Dave Cutler. He is not only universally acclaimed as the key technical brain behind the Microsoft Windows NT and all the subsequent windows versions. A decade ago he was recognized as a National Medal of Technology and Innovation laureate, perhaps the most prestigious honor in the country for developers of new technology. His support, and the fact that dozens, if not hundreds, of Microsofties who cross the street from the company's Redmond campus to play at the Pro Sports Club where Shabana, Asam and Latasha are instructors helped guide Microsoft into the Presenting sponsorship with Pro Sports as the Official sponsor. Pacific Market International, a Seattle-based brand and product-marketing company with offices in seven cities around the world, has been a strong supporter of both this five-day event and of the 2015 Men's Championship as title sponsor. Richard and Jackie Lange, Woodinville residents, stepped up as a family after Shabana created a national tournament for young squash players called the National Gold Tournament that attracted 175 young people from around the country to compete in groups broken down as under 11, 13, 15, 17 and 19. Shabana notes that 20 college coaches looked on for the older players' matches at the event held earlier this spring, also at the Boys & Girls Club. The Langes, whose daughter, Kristin, played squash at Penn and was a three-time intercollegiate finalist, put up the money for five years of having the youth competition be "The Lange Showcase," sharing Shabana's vision of making squash available to young people of all ages and means. Khan is the most famous last name in squash. Distant cousins Hasim and his son Sharif, and cousin Jahangir, dominated world squash for decades. Yusuf Khan 10-time all-India champion, emigrated to the U.S. in 1968 to teach tennis at the Seattle Tennis Club, bringing with him his family that then included children Asam and Shabana. Khan soon after arrival in Seattle created the Seattle Athletic Club and made it a focal point for squash in Seattle. Shabana's younger sister, Latasha, was several time national women's champion before losing the title to Shabana, providing me the opportunity to joke in an earlier column, "best in the family is best in the county." The looming reality for this unique local event is that Shabana and her supporting family have basically given themselves only a couple of months to decide whether it's worth the struggle (the event basically broke even this year) to attract thus-far absent support from either the City of Bellevue or local businesses. If the Seattle Mariners are successful in their effort to land their first post-season role in more than a decade, it will fulfill a key wish of Kevin Mather, the team's first-year president and COO, who says "we'd sure like to reward our fans with a playoff opportunity." Mather came to his new role, when named last February to replace long-time president and COO Chuck Armstrong, with a conviction on how the Mariners would build a winner and of the need to reward the fans who he said "have been outstanding, patient and loyal" over all the down years. But while the playoff hopes remain yet unresolved, most of the developments for the Mariners during Mather's first year, some things under his control and some beyond, have come up as positives rather than the negatives that have dogged the team for a dozen years. In fact, if the Mariners make it to the post season, it will be the first such appearance since 2001, a draught that drained the support of fans who, during the season of that last playoff run outdrew every major-league team with a per-game attendance averaging 43,302. Mather reviewed the year and fielded questions during a breakfast interview we had last week at the Columbia Tower Club, the same day that the Mariners were singled out, with an article in the New York Times, to be acknowledged broadly for the club's pre-eminent role in an area more important than on-field performance. As the cries of anger echoed across the NFL and beyond over the assault recorded on video by Baltimore Ravens running back Ray Rice as he punched his wife senseless in an elevator, the Mariners were singled out for their 17-year partnership with the Washington State Coalition Against Domestic Violence (WSCADV). It was in 1997 that the Mariners started a public education campaign, "Refuse to Abuse," after the WSCADV reached out to team executives in the hope of engaging and educating the team's fans through media advertising in an annual campaign to foster more safe and healthy relationships. The relationship, noteworthy among all pro sports teams, has continued since then, with the highlight of the annual fund-raising campaign for the coalition being a 5k run carried out entirely in, out and around Safeco Field. "The coalition has been a great partner for us," Mather said of the domestic-violence awareness group, then added, "baseball is frankly held to a higher standard. We have zero tolerance for domestic violence." That partnership began a year after Mather joined the Mariners as the Vice President of Finance and Administration. 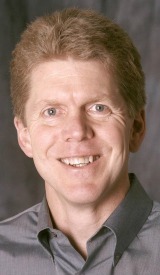 He was promoted to Executive Vice President of Finance and Ballpark Operations in 1999. 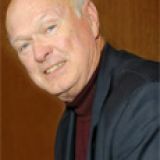 Prior to the Mariners, Mather, a CPA by profession, worked for the Minnesota Twins from 1989 to 1996 as director and vice president of finance. As Mather recalls it: "Baseball had become a sport in which 25 teams had no chance to win, so the goal was to make every team competitive." So in 1992, the then-new baseball commissioner Bud Selig began negotiations to create a sharing of revenue that would involve taking money away from some teams that made a lot of money and give it to teams that didn't make a lot. Mather remembers an example of not every team with a lot of money wanting to share. "George Steinbrenner (the late owner of the New York Yankees) said to Ellis, 'you mean I am going to spend millions of dollars for this sad-case baseball team in the Northwest? We should buy you and put you out of your misery.'" "John looked at me for a response and I didn't have one," Mather joked to the breakfast audience. I asked him how the Mariners had done, assuming that some years they had been on the receiving end of the sharing, but he said the team has basically been a payer, to the tune of $20 million to $22 million a year ever, ever since the plan went into effect in 1995. So when the Mariners needed to go looking for a CFO, they knew where to look, and while thereafter Mather was in Seattle through the glory days when the Mariners were virtually among the best teams in baseball, he's suffered with the fans through the down years as attendance slipped the past three years to 500,000 below the MLB average attendance. Mather takes pleasure in noting that attendance this year will be above two million after three years below that mark. And he freely attributes part of the return of the fans to another of those areas beyond his control. That's the impact the Super Bowl Champion Seahawks have had on Seattle sports fans, saying "there's no doubt that the Seahawks have had a positive impact on fan support for all professional sports, including the Mariners." 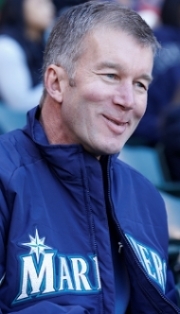 But within Mather's control is his conviction that the long-term view will guide decisions on players and building the roster, convinced that the position players now in development in the minors represent stars of the future for the Mariners. "They are the key to our winning 95 games a year in a few years"
And he credits General Manager Jack Zduriencik, who last month got a long-term contract extension, with positioning the franchise "to be a contender for many years to come." Jack has never been a short-term thinker," says Mather, whose philosophy is "it's easier to fill a hole in free agency than with trades, because you just give up money in free-agency deals but trades require you to give up players." Mather says that one goal he outlined when he met with the ownership team for the first time after assuming the new post, was "to still be playing meaningful games into September." That goal has been achieved, and "meaningful games" may still include the post-season. Mikal Thomsen's Tacoma Rainiers will miss the Pacific Coast League playoffs this year and are among the lowest in attendance of the 16 clubs in professional baseball's most far flung conference. But winding up his third season as leader of the ownership team, Thomsen enthuses that "things have turned out great." The guy who attended his first Tacoma baseball game with his dad in 1960 at the age of three to watch the triple-A team then called the Giants and grew up rooting for his hometown team, which went through many nicknames, now finds himself living "a dream come true" as part owner of the triple-A team. More than just a "part owner," it was Thomsen who convinced his business partner at Trilogy Partnerships, John Stanton, to join the ownership team he was putting together to buy the Tacoma PCL franchise prior to the 2011 season. No less a baseball fan than Thomsen, Stanton was already part of the Seattle Mariners' ownership team and a year earlier had convinced Thomsen to partner with him in the purchase of the Walla Walla Sweets, a West Coast League expansion in a league for college players just below professional ball. And although Thomsen's regular business card denotes his role as a managing partner in the wireless venture and investment firm populated by icons of the growth of the wireless industry, he prefers to pass out the card identifying himself as the CEO of the Baseball Club of Tacoma. Tacoma's population of just over 200,000 makes it the smallest market in the league at about 40 percent the size of the largest PCL markets and its attendance this year that will wind up at about 270,000 is just over half of the nearly 500,000 of the Sacramento River Cats. But despite the challenges to financial success, including being the AAA franchise closest to a major league city (close enough to lose some fans every game who opt to head north to watch the Mariners) with two years of learning under his belt, Thomsen says things have fallen into place in this third season. "The first year was a learning experience and I felt a little like a depression-era child waiting for another shoe to drop," Thomsen said. "The second year was mostly positive and this year has been great. We're fully capitalized with 20 partners, new investors, and we've started expanding beyond the baseball model." "We originally had to put more money in than we anticipated, but we have more than enough money at this point," he said. "I believe our revenue per fan is higher than most franchises because we do a better job of packaging products together," Thomsen said. "And I believe, though I am somewhat biased, that we offer the best food in our concession stands, the best merchandise in our team store, and the nicest park in minor league baseball." Thomsen says he's "very happy" with Aaron Artman, the team president retained from previous ownership. "He has been able to add a new head of revenue and a new controller who have helped tremendously on the revenue and cost control sides of the business. And everyone is working hard to make a visit to the park a lot of fun for the fans." Thomsen, a businessman even more than a baseball fan, isn't being Pollyannaish in his enthusiasm for the ownership and management teams he has assembled. Despite its small-market status and lower attendance numbers, Thomsen says Tacoma, which does not release its financials, "is doing better than many of the PCL teams in both revenue andoperating income." And while success on the field is mostly in the hands of Tacoma's major-league affiliate the Seattle Mariners, the fifth-place finish has added to the fan appeal. And he said they're realizing that "we have the stadium for 365 days a year and only need it for 72 days for baseball. So we looking for other ways we can add to our revenue by adding to our use of the stadium and doing other things with our resources." "We need to find other things we can do with the ballpark and there's not really much of a model out there," he added. "We have to start looking at the things we do that groups would pay for, like using our groundskeepers to work with parks or schools." "A couple of things that have really developed well this year are merchandising sales out of our team store, where we're making significantly more money this year, and concessions, which we contracted with Ivar's for this year after two years of misfires," he said. "They're doing a great job for us." That first game with his dad was actually the first Triple-A game in Tacoma since the original Tacoma Tigers departed for Sacramento 55 years earlier. So one idea that Thomsen shared when I interviewed him for a column two years ago was that he might restore the Tigers nickname. With that in mind, the team had fans sporting Tiger hats at some games, as well as hats with the other nicknames the team has had, including Cubs, Twins, Tugs, Yankees and Tigers until the Rainiers nickname in 1995 stuck. But he says now that the new-name idea quickly went by the wayside as a survey of fans indicated "they love the Rainiers." Noting that the Giants' hat was the only one his dad ever wore and recalling the growing-up days watching the team, Thomsen says: "I only wish my Dad, who was a big baseball fan and passed that attribute on to all three of his kids, could have been around to see the new ballpark. He would have gotten a big kick out of it." And likely as well out of the fact that his son now owns the team. Although it's been more than two years since Tod Leiweke was lured to Tampa to turn around that city's hockey fortunes the way he restored the luster of the Seattle Seahawks, he remains an ardent admirer of the Seattle sports scene and its fans. He also sings the praises of his current community-minded owner, Jeff Vinik, the way he touted the community focus of his Seattle boss, Paul Allen. While now far distant in terms of miles, he remains an up-close booster of the Seahawks, whose fortunes he turned around, and the MLS Seattle Sounders, whose franchise he helped create, during the seven years he set down roots in the Seattle area. "I love the idea of the Sounders playing before more than 60,000 fans," Leiweke enthused about the MLS team's recent contest. "But think about the fact that in the space of five days, the Seattle area turned out 170,000 fans for the Sounders, Seahawks and the (University of Washington) Huskies. That's unbelievable for any region." But Leiweke, a self-described "eternal optimist," declined to involve himself in the controversy over the proposed new sports arena in Seattle's SoDo District south of downtown, other than to praise Seattle-raised investor Chris Hansen who wants to build the facility on land he now owns. I asked him, in a recent telephone conversation, whether Hansen's dream of attracting both NHL and NBA franchises for Seattle to play in his planned but not-yet-approved arena, was realistic. "It could work, yes," he replied. "But for the market to absorb two teams won't be easy." Almost from the day in early 2010 that Boston financier Jeffrey Vinik bought the NHL Tampa Bay Lightning and the sports and entertainment facility since renamed the Tampa Bay Times Forum and moved his family to Tampa, he went Leiweke hunting. He was rebuffed at first in his efforts to have Leiweke forsake Seattle and come to Florida as CEO the team and the entertainment arena. But by the time Leiweke announced in July of 2010 that he had accepted the position as CEO of Vinik's Tampa Bay Sports & Entertainment, as well as its subsidiaries the Lightning and what was then the St. Pete Times Forum, he acknowledged that an ownership stake in the parent company had closed the deal. The Lightning needed to rebuild a brand battered by three years without a postseason appearance and two years of mismanagement by the previous owners. Coming to Tampa and the Lightning was a return for Leiweke to his first love, hockey. He had been president of the Minnesota Wild, which he built into a major NHL success, and before that was with the Vancouver Canucks, prior to his hiring to turn around the Seahawks. When Allen had coaxed Leiweke then 50, to Seattle to turn around the fortunes of a once-proud franchise, the team was believed losing money, but in fact, no one knew for sure because until Leiweke arrived to bring business acumen and marketing savvy, there apparently were no budgets. As Leiweke once confided, "when they ran out of funds they just asked Paul for more." When Leiweke arrived in Seattle in 2003, the season-ticket total was 30,000 and his first game as CEO wasn't a sellout. But by the time the Seahawks reached their only Super Bowl two seasons later, every game was a sellout and season-ticket holders now top 60,000. This year was to bring two big visibility opportunities for Tampa Bay Sports & Entertainment. But storm clouds threatened both. A major renovation of Tampa Bay Times Forum was carried out to make it ready to host the Republican National Convention, which was threatened with cancellation but in the end was only delayed by Hurricane Isaac. But since the bulk of convention week took place, the facility, ranked the nation's fourth busiest, got good visibility as backdrop for the political gathering. "The arena wasn't ready when the new ownership arrived and so we funded a $50 million renovation of a publicly owned building," Leiweke said. "The building looks almost new now." The other big visibility opportunity was for the Lightning, plans to mark the franchise's 20th anniversary, described by one observer this way: :The 2012-13 season was supposed to be marketing gold, with the celebration of Tampa Bay's 20th to be the thread that tied together an expected on-resurgence." "This has to be frustrating, even for a self-described 'eternal optimist,'" I suggested to Leiweke. "I don't really feel that way," he replied. "If you look up Jeff Vinik, you see a guy who is committed world class and getting a right-sized collective bargaining agreement is part of us getting that done." "I have always believed that no one follows a pessimist," he added. "Optimistic leadership is the key to leading." "We have all the stuff for the 20th planned," Leiweke said. "If we have to compress it, we will. The best thing we can do for this franchise is put it on a trajectory for the next 20 years." In talking about Vinik's role in community, Leiweke is overboard in his enthusiasm for a unique charitable program the owner put in place for the Lightning. Vinik and his wife honored a Community Hero at each of the Lightning's 41 regular season games, and awarded a $50,000 check to a non-profit charity of his or her choice, a total of more than $2 million year. "Even though we're in a work stoppage, he announced he's going to make the same $50,000 donations," Leiweke said. "I've been lucky to work for two pretty good owners." Our first telephone conversation took place just after Leiweke had returned from a 90-minute outing on his paddleboard off Anna Maria Island, where the Leiweke family has a retreat about 60 miles from Tampa. "I love it out there," Leiweke said of his paddleboarding, a sport he fell in love with after moving to Tampa Bay. "But something big was just surfacing and I told myself 'time to get home.'" That's the kind of challenge that doesn't occur when he pursues his other entertainment of "beer-league" hockey. Before there was basketball at Gonzaga, there was football. And just as a Stockton (John) in the backcourt in the mid-80s set the stage for the Spokane school's subsequent hoop prominence, a Stockton (Houston) in the backfield 60 years earlier keyed a 20-year quest in which Gonzaga sought to use football as the key to fame. Appearances by Gonzaga University basketball teams in NCAA post-season play have become almost the norm over the past decade. But the Bulldogs also made a post-season appearance on the football field, a Christmas-day game in 1922 that was intended to match Gonzaga against Notre Dame. The idea for the long-ago game was a promoter's dream: a post-season contest between the Notre Dame team of Knute Rockne and the Gonzaga team coached by Charles E. "Gus" Dorais, the man who had quarterbacked the Irish while Rockne played end. This is the story of how that game came about and the effect the outcome had over the next two turbulent decades as Gonzaga pursued a dream of gridiron glory, only to become entangled in a morass that threatened financial ruin for the tiny school. Gonzaga, like Notre Dame, had been calling itself the fighting Irish for years. In fact, the nickname bulldogs was used for the first time in 1921. According to legend, the decision on whether Rockne or Dorais would be hired as Notre Dame's new head coach came down to a coin flip that Rockne won. Dorais stayed a year as the assistant then headed to Spokane in 1920, sought out by the little Jesuit school to fulfill its dream of national prominence through football, starting with hiring a "dream" coach. Dorais spent his first couple of seasons beginning to build a reputation among Northwest schools. Then in 1922, Houston Stockton, John's grandfather, who had been singled out for All-American honorable mention as a freshman at St. Mary's in Oakland the previous year, transferred to Gonzaga. Stockton quickly began to make his mark as a Bulldog. In the home opener in a new $100,000 stadium before an overflow crowd of 5,600, Stockton turned in a stunning single-game performance, scoring six touchdowns and kicking 10 conversions for 46 points as Gonzaga beat Wyoming, 77-0. The Bulldogs beat College of Puget Sound, 34-0, Montana, 37-6, and Montana State, 12-0, in a Bozeman snowstorm. They lost 10-7 to Washington State College on a late-game field goal. Then came the official invitation from San Diego officials for the dream-game clash between Rockne's and Dorais' teams. But Notre Dame was upset by Nebraska in its season finale and Rockne decided to turn down the invitation. So West Virginia, undefeated in the 1922 season, victor over the Pittsburgh team that went to the Rose Bowl that season and a club generally regarded as one of the two or three best in the nation, was invited instead. The odds against Gonzaga were overwhelming and the way the game unfolded bore that out as West Virginia took a 21-0 lead into the fourth quarter. Then Gonzaga found itself. The Bulldogs scored two touchdowns, one by Stockton, in 10 minutes. With two minutes to go, Stockton (who rushed for 110 yards that final quarter) found future Gonzaga coach Mike Pecarovich in the end zone. But he dropped the ball. Final score: West Virginia 21, Gonzaga 13. The game got an eight-column headline in the New York Times sports pages as Gonzaga won praise from coast to coast, lauded as "the Notre Dame of the West." A Chicago Tribune sports writer enthused that "West Virginia won. But it wasn't a Christmas present. Pulling a bone from an angry bulldog is not like getting a toy drum from Santa Claus." Dorais and Stockton teamed for two more years, including an undefeated 1924 season. Then Stockton moved on to professional ball with the Frankfort Yellowjackets, predecessor to the Philadelphia Eagles, and Dorais headed for the University of Detroit where he spent most of his coaching career. A number of great players followed Stockton as Gonzaga stars. George (Automatic) Karamatic, who won a place on the 1936 All-America team, and Tony Canadeo, known as the "Grey Ghost of Gonzaga" for his prematurely gray hair, went on in pro ball to set the Green Bay Packers single-season rushing record. Ray Flaherty, a member of the 1924 undefeated team, subsequently starred with the New York Giants for nearly a decade. Then he became coach of the Washington Redskins, guiding them to two NFL titles and five division titles, with his teams always including a cadre of Gonzaga players whom Flaherty routinely drafted.. The outbreak of war ended Gonzaga's football program, one that was doomed to end at some point, having cost the school $60,000 in its worst year and providing less than a dime of profit in the best. It's been almost seven decades now since the blue-and-white uniforms were packed away for the last time. And 60 years since the dilapidated wooden grandstands of Gonzaga Stadium were razed to make room for the Crosby Library. Old photographs carefully packed away in the basement of the Administration Building are the last tangible reminders of the days when Gonzaga pursued the mirage of big-time college football fame. Gonzaga was among the first of a score of little colleges, mostly private schools, around the West to pursue an Ozymandian delusion that football could be the ticket to a wealthy campus and national renown. Down through the years, sports has inevitably been the vehicle that colleges and universities have sought to use to gain prominence and recognition, as Seattle University is doing in seeking to restore the one-time luster of big-time basketball at the school. For Gonzaga, basketball has indeed brought the prominence and financial success that football was never destined to do. But football will always be the ghost in Gonzaga's closet.